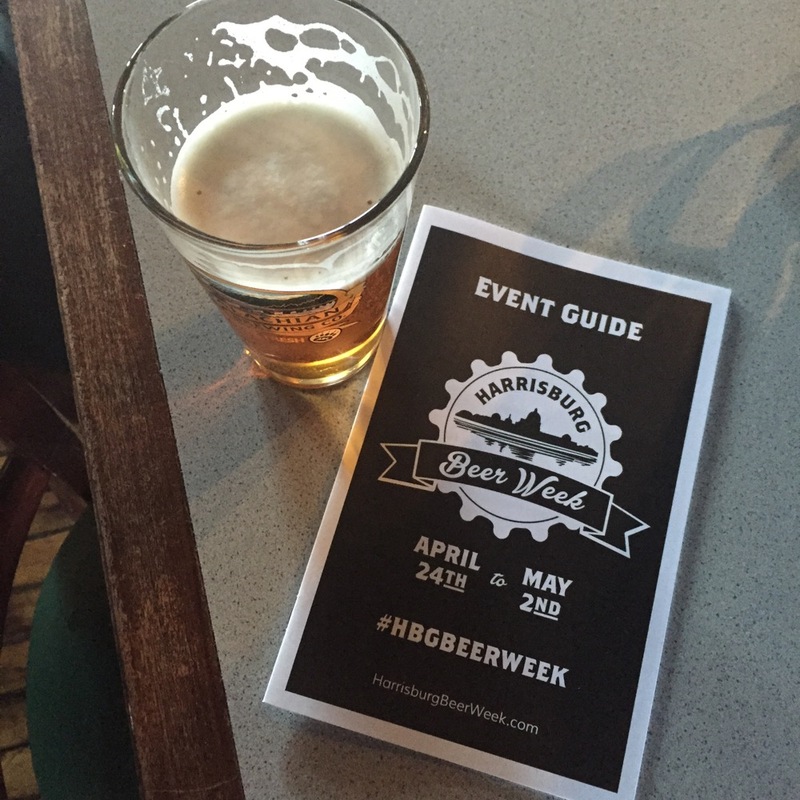 Once again as we approach late April, the return of Harrisburg Beer Week is coming upon us. This year marks the third iteration of the yearly celebration of craft beer in the Central PA area. As such, now provides a great opportunity to assess the current standing of craft beer in the (717) area code. But first, within the Commonwealth, the past year has brought at least one challenge to local brewers in their changing relationship distributors due to legislation. Across the Nation, the total number of breweries has ballooned from 5,000 just a year ago to 5,300. This rapid expansion has been tempered by a very slight downturn in consumption across the industry. The number of guests at the table grew but the size of the pie remained the same. Locally paints a far rosier picture. We have seen an impressive number of breweries open. There are more choices for local beer drinkers than ever before and the acceleration keeps going. Since the last HBW, we have seen Collusion Tap Works, The Vegetable Hunter, Ever Grain, Tattered Flag, Desperate Times, Millworks, and Boneshire open their doors. We have seen the expansion of Appalachian Brewing Company and watched Troegs open its new and absolutely gorgeous Splinter Cellar. There are more bars and restaurants that are featuring local brewers; often in unique and interesting ways beyond just a tap handle. Finally, we saw a massive 12 brewer collaboration at Pizza Boy Brewing Co. that put out an outstanding beer and showcased the comradery here locally. Looking at all of this, Harrisburg Beer Week is a great time to celebrate this now mature community within the Central PA area. Over the course of nine days, craft beer devotees will be visiting multiple breweries, bars, and restaurants to sample unique brews or raising a pint of their favorite stalwart. We will hunt down rare firkins, tip back pints of what will be an eminently quaffable new (717) Collaboration Lager, and discuss or debate the virtues of this beer or that ale. All while raising a ton of money for a great cause, the Harrisburg River Rescue. Much like brewers work hard to keep their lineups fresh, the Harrisburg Beer Week crew have worked hard to keep the three-year-old venture fresh with new gear and some new events or “old” events in new places. The Home Brewers Competition has been moved to the Broad Street Market in Midtown. While the ballpark was a fun and an interesting location, moving to the Market will inevitably create a more “Harrisburg” vibe. There are more events than ever, at more locations than ever. They even have a mini golf outing. Just like craft beer in Central PA and Harrisburg Beer Week have grown, so has the craft industry throughout Pennsylvania. This provides an opportunity to tell a compelling story. A compelling story is what GK Visual brought us in their documentary Brewed in the ‘Burg. As craft beer has expanded within the area so has their vision as they take on Poured in PA; a documentary meant to highlight craft beer throughout Pennsylvania. Making a project of this size requires money, a lot of it. That is why they have turned to crowd funding. But backing this project comes with perks; some really great ones. In fact, I have backed this project with my own money and if you love PA craft beer you should back it too. It doesn’t take much to help out the Harrisburg River Rescue or Poured in PA. Both projects are about doing something positive around something we care about, great beer. If I missed a brewery that opened since April of 2016, I am sorry but I think I caught everyone. If I missed one, let me know in the comments and I will edit accordingly. I will have a list of my “Can’t Miss Events” next week so check back. The new label for (717) Collaboration is amazing. It is so good. I really like it. Also, I am happy to say that Friend of the Show, Tierney Pomone will be appearing on It’s Friday Somewhere this week to discuss all things Harrisburg Beer Week. Finally, I apologize for the lack of posts here as of late. Between launching the new podcast and writing for October now I just have not had the chance to write much for my own blog. I hope to change that soon and expect that Bearcat on Beer will now be almost entirely my thoughts on what is happening locally. In a twist, John McLaughlin’s theme music was used to usher in a reign of tyranny. Or in this case, the reign of Tierney Pomone from Stouts & Stilettos for Ep. 5 of The Operation Shutdown. Just looking at this gave me a headache. Harrisburg craft beer devotees, know Tierney for her work as founder and chief of Stouts & Stilettos, but in my mind her greatest claim is that Harrisburg Beer Week was her brain child. We had a great discussion bouncing around a number of topics with ease. Being a woman surrounded by bearded 30-something white dudes when drinking. Getting crap from d-bag craft beer bros. When not playing with her cat Simcoe, Tierney can be found on Twitter via @StoutsStiletto or @TyrannyTierney, on Instragram and Facebook. Yes… She named her cat after a hop variety.